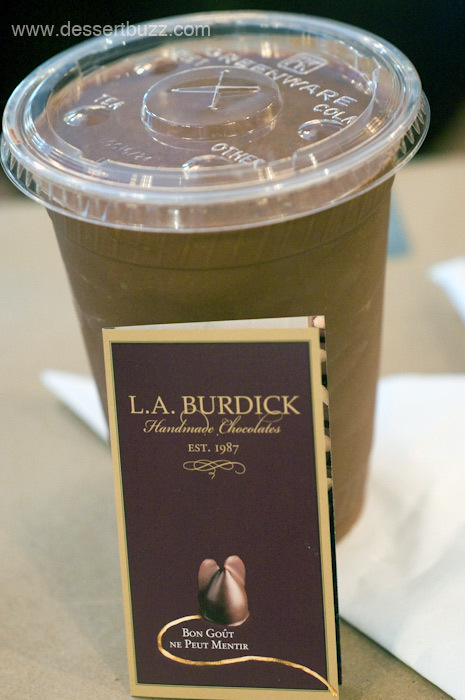 L.A. Burdick frozen Hot chocolate - expensive but good. L.A Burdick on 20th between 5th and Broadway doesn’t actually list a blended frozen hot chocolate on their menu. I’m not sure why. Maybe it’s a pain in the arse for their staff to trek into the kitchen for every order? I understand that customers would make this request since their standard hot chocolate is so highly regarded. My guess is, some regulars nagged them (that’s what I would do if I lived nearby) until they conceded. In any event, despite it not being on the menu, you can and should try a frozen hot chocolate from Burdick this summer. Burdick’s frozen hot chocolate is made from their blend of 68-70% dark chocolate bits and is one of the “darker” frozen hot chocolates available especially when compared to the others favorites like Torres (see below). It’s certainly very good–but it will cost you. They charged me $6.50 when I visited last week. Go here fore a Google map of their location and here for L.A. Burdick’s website. 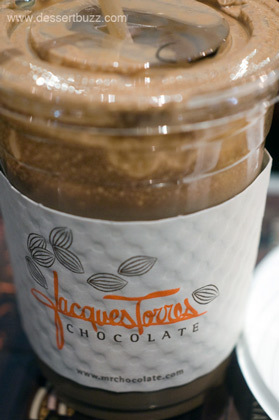 Jacques Torres is really the “go to” frozen hot chocolate in New York City. With multiple flavors like peanut butter, expresso, wicked and regular and 5 locations (one in Brooklyn) you don’t have to go out of your way to get ahold of one. All their frozen hot chocolates are made from melted chocolate vs. cocoa powder. If you are a peanut butter lover stop reading right here–run out and try this asap. The Jacques Torres frozen peanut butter is one of the tastiest things you can get in NYC for $5.00. Jacques Torres locations are here. Their website is here. 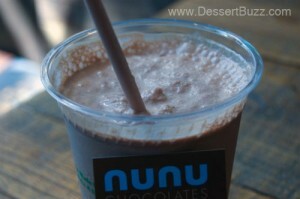 Nunu frozen hot chocolate - one of the City's best. If you find yourself in Brooklyn near Atlantic Ave – do yourself a favor and stop by Nunu chocolates to try their take on frozen hot chocolate. It’s much lighter than Burdick or Torres but it’s also a bit sweeter. YIn addition to their main locations you can also find Nuna at various pop-ups and street fairs, in summer they often have their frozen hot chocolate on offer. $5.00. Nunu’s flagship store is located on 529 Atlantic Ave. bet. 3rd & 4th Ave. Their website is here. Finally, if chocolate isn’t your thing head to the Kelvin Natural Slush truck, the 2010 Vendy award winner for best dessert truck. They have a great selection of all natural flavors like ginger with mint (my favorite). 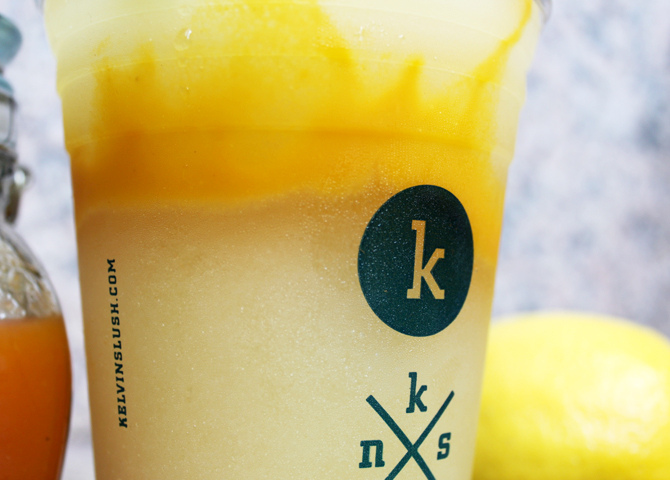 These slushies are nothing like their 7-11 counterparts. They’re not tooth-achingly-syrupy or made with fluorescent colored food dyes–the flavors simply taste as expected. The ginger for example, is very strong, like biting into a slice of ginger, in a good way. 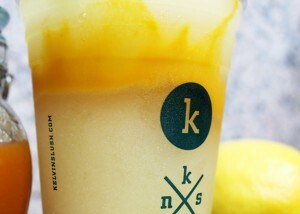 Other flavors I have tried and liked include tangy citrus with acai or strawberry, and ginger with blood orange. Prices range from $3.50-5.00 (small, Med, Large). Go here for their schedule of planned locations. The City Sweet Tooth » Sweet Links of the Week – 7/7! That’s cleared my thoughts. Thanks for cognbirutitn. It's sad to see that some sportmen do not want to raise the spanish flag. I hope we start differing between sport and politics, and, much more, between patriotism and political ideology. You can definitely see your skills within the work you write. The sector hopes for even more passionate writers like you who are not afraid to mention how they believe. Always follow your heart.